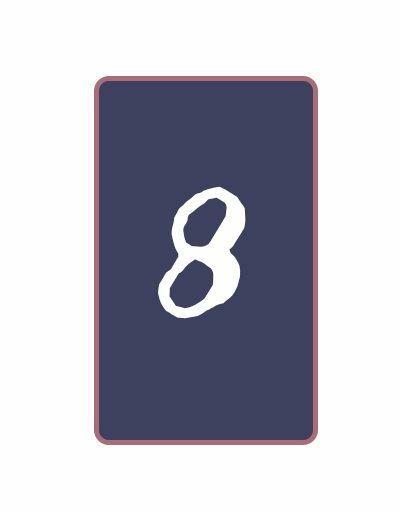 When you look through a Tarot card deck, you might notice numbers on almost all of them. 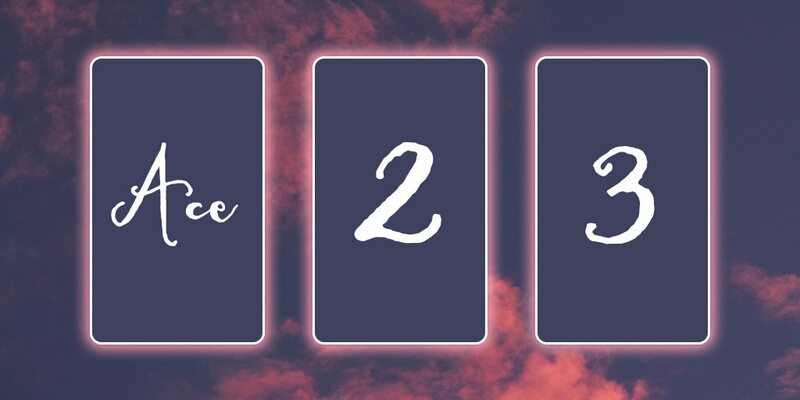 The cards that have these numbers are the minor Arcana cards that represent the stage of a journey you’re currently experiencing or about to begin. Not only that but they also symbolise essential stages in careers and relationships, which can reveal the next step you could move to be happier in your life. In total, there a 56 of these individual cards. 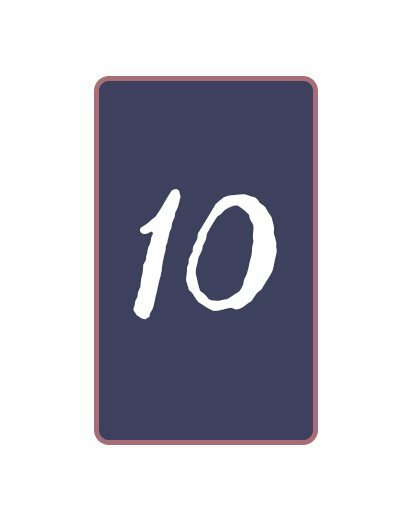 They start off with an Ace and end at ten, which is the same as playing cards. Instead of the playing card suits, Tarot’s are Cups, Pentacles Swords and Wands that represent the different elements of the earth and also reveal information about a situation. 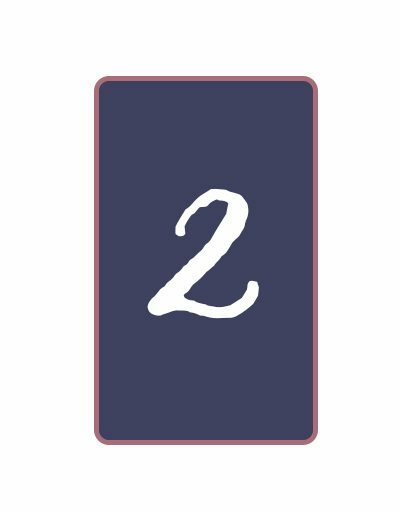 We will take you through each number so you can understand the differences between them and how they could affect your tarot card reading. 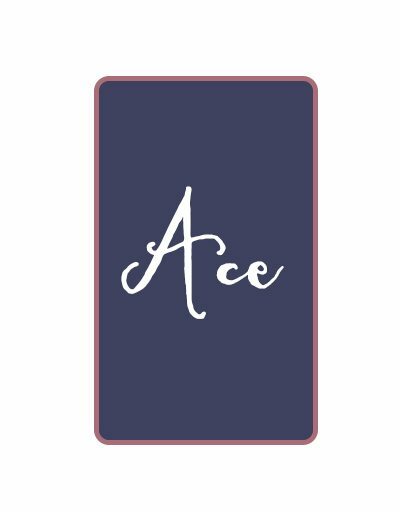 Ace (representing One): New ideas, beginnings, a new journey, potential. 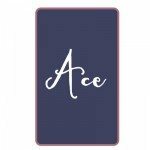 When an Ace appears in a reading, it represents the start of something very special in your life. 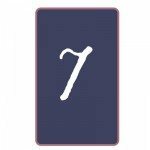 The card is all about new beginnings, so it’s important you prepare for any sudden changes in your life that could completely change the way you view the world around you. Challenges will be met with success and you will find obstacles in your way very easy to overcome. Don’t be surprised if you meet a new partner, receive an exciting new job offer or get the opportunity to travel. 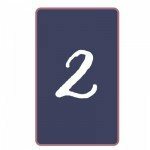 When a Two appears in a reading, it is all about experiencing harmony in your life. You might feel happy with the people around you and a negative situation will see a resolution, saving a friendship or other partnership that you brought worry. It is also a time to reflect what has happened and how you can avoid any future bumps in the road. During this stage, you will feel at peace with yourself and proud of the progress you’ve made. 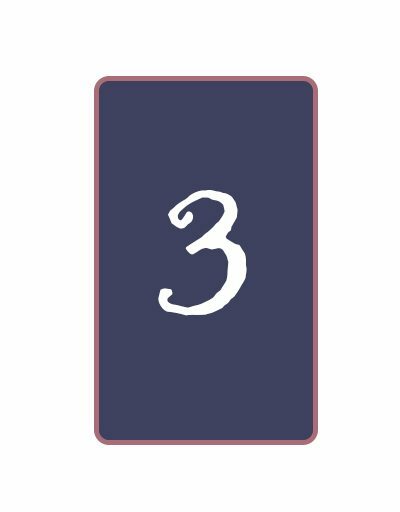 Three: Maturity, friendships, emotional connection. 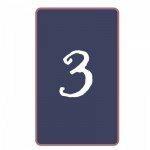 When a Three appears in a reading, it is representing a time full of growth and maturity. You might begin to connect with the people around you on an emotional level, bringing long lasting friendships to the forefront of your life. It is a time full of joy where new people will feel like long lost siblings. In your career, you could meet a new colleague who ends up being a fantastic part of your team and also has important qualities you lack. You will both compliment each other in a way where all projects can run smoothly. 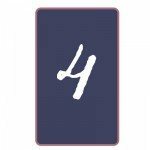 Four: Focus, stability, strength, support. 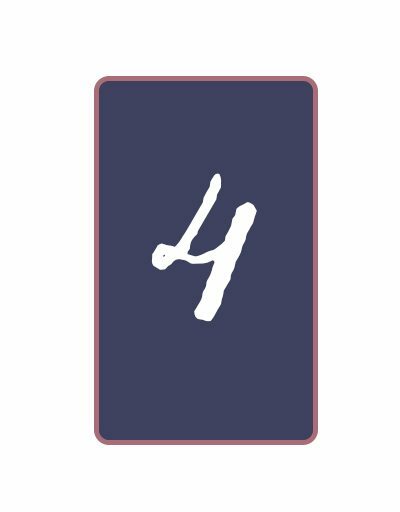 When a Four appears in a reading, it represents your need for security and balance. A job or relationship might not be satisfying anymore, which causes you to look at other options. Looking for grass that is greener on the other sign might take away you stability because you don’t know which step to take next. You should take time out and seek support before making any drastic leaps of faith. Find your strength during this time and you might realise that these doubts have developed for immature reasons. 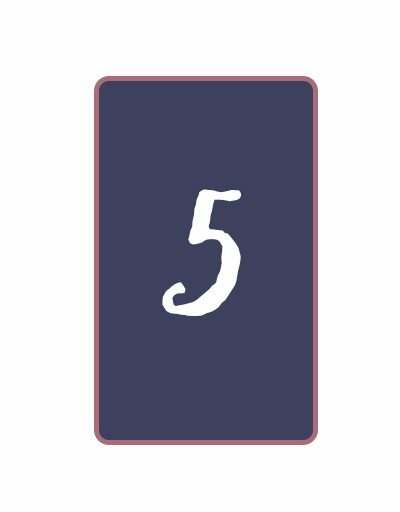 Five: Obstacles, difficulty, loss, lack of faith. 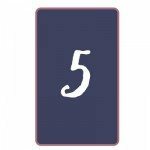 When a Five appears in a reading, it represents an unhappy time where you’re not sure who you can turn to for emotional support. You might become very distant from a partner, unable to communicate your feelings or you might even experience financial woes. It’s highly likely that during this time you are trying to fight a losing battle. The key is not to allow this issue to overcome you. It’s a hurdle that you will overcome, no matter how hard it might seem right now. Spending time reading positivity themed books or practising meditation could help you realise that not all is doomed. You can get past this! 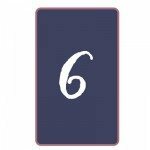 When a Six appears in a reading, it’s truly a breath of fresh air. The card represents a time where harmony in your life will be restored after a difficult phase. New, exciting opportunities may arrive, too. It will be a reward for the wisdom you’ve gained from recent hardships. You have learnt so many valuable lessons about love and happiness that now, you can finally step on the right path towards success. It also suggests that now is the perfect time to go on an inspiring trip to recharge your batteries. Seven: Hard work, ethic, discipline, slight struggle. 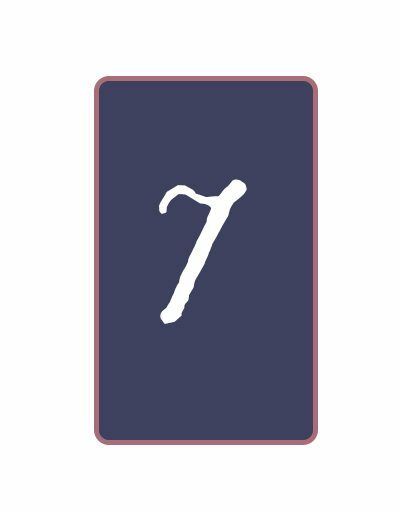 When a Seven appears, it suggests that you might have to make a difficult decision on your path towards happiness and success. In your career, you might be asked to take on more responsibility. You must be careful with these decisions because they might land you in an unfortunate situation. Longer hours you believed would skyrocket your career might offer no reward in return. Now is the time to think about your next step. The card also reveals that your life might require very hard work to move forward. Of course, you will feel exhausted but if it’s for a good cause, it’ll be worth it in the end. Eight: The next step, progress, transformation. 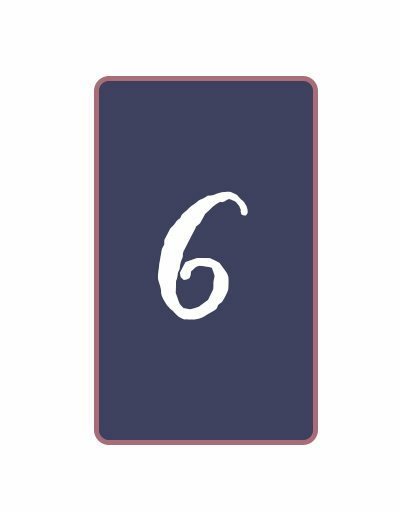 When an Eight appears in a reading, it is a welcomed card after the struggle people experience with a Seven card. 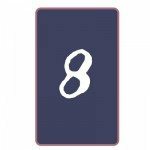 The Eight represents a significant development in your life, whether it’s linked to relationships or finance. You might receive a wonderful pay rise or an exciting job offer that you just can’t refuse. Also, this card reveals a time where you might change your mind about a particular decision. You might realise you aren’t ready to take the next step in your relationship. Expressing any doubts to a partner is important because you can then work together to reach a reasonable compromise. When a Nine appears in a reading, it’s a very positive one that will put a smile on your face. What you have wished for and worked towards will become a reality, creating a whole new level of happiness in your life. Hardship you experienced was all worth it. Make sure you celebrate this lovely time and allow yourself to be proud of what you have achieved. On another hand, this card can show a time where you are still struggling. It asks you not to give up on your dreams regardless of what tries to get in your way. Success will come to you but you must have perseverance. 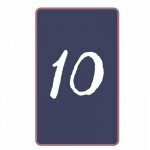 When a Ten appears in a reading, it can represent good or bad endings depending on the suit of the card. You could experience happiness after gaining financial reward after trying to climb the career ladder. The card also brings contentment into your life. There will be improvements in struggling relationships, reaching the point where you are both much happier. On the other hand, this card could represent a negative ending that is unavoidable. Someone could exit your life and even though it seems awful, in reality, it is the start of a new chapter. Stay positive and see the bright side of life.